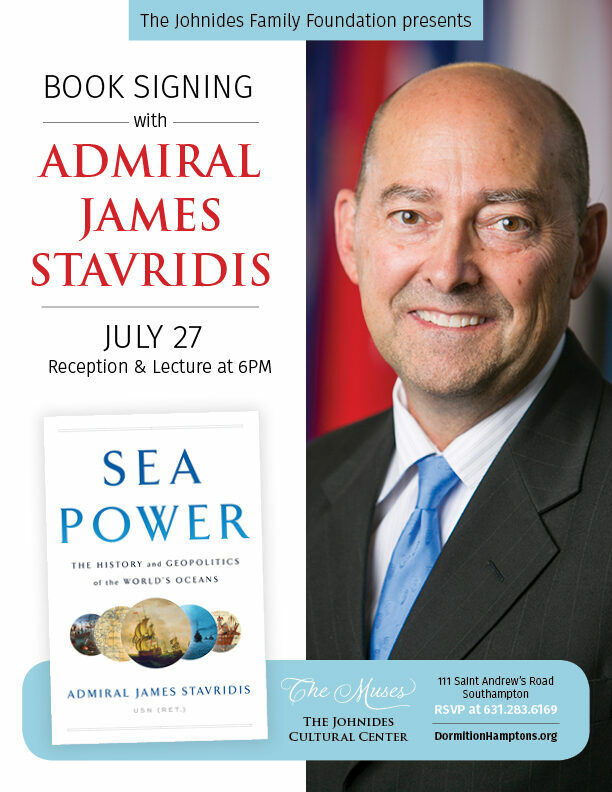 Admiral James Stavridis will offer a book signing and lecture at our parish on his new book Sea Power. The event is free and open to the community. James Stavridis, also a 1976 Naval Academy graduate who rose to the rank of admiral, spent nearly forty years in the Navy, becoming the longest serving combatant commander in recent U.S. history. Stavridis commanded the Enterprise Carrier Strike Group from 2002-2004, conducting combat operations in the Persian Gulf in support of both Operation Iraqi Freedom and Operation Enduring Freedom. In 2009, as a four-star admiral, he was appointed head of U.S. European Command and, simultaneously, NATO Supreme Allied Commander (SACEUR). After retiring in 2013 he was named dean of Tufts University’s Fletcher School of Law and Diplomacy, his alma mater.